Who will benefit from the latest proposed amendments to the RTI? Prime Minister Narendra Modi had famously said ‘na khaaunga, na khane dunga’ referring to how his administration would keep corruption at bay. Positioned against the multi-million dollar corruption scandals of the previous UPA regime, this appealed to a large section of the population. “If fighting corruption is their goal, why do they want to weaken the RTI?” asked Rolly Shivhare, an RTI activist from Bhopal. Transparency is equal to reduced corruption which is equal to efficient government, she explained. The Right To Information Act 2005 is considered to be one of the strongest transparency legislations in the world. 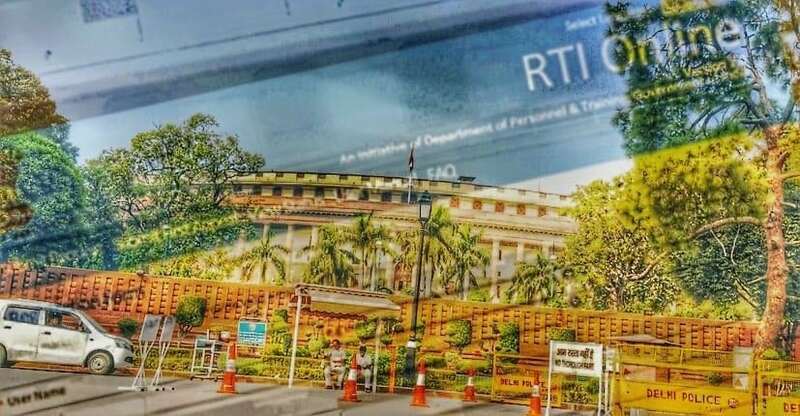 According to Transparency International close to 2.5 crore, RTI applications were filed between 2006 and 2016, making the RTI one of the most widely used pieces of legislations in the world. Bar and Bench spoke to RTI activists from five states to understand what they think of the latest proposed amendments to the RTI, how RTI is important to them and how they have seen a different India since the Act came into being in 2005. Ajay Jangid, 39, is a businessman in Surat. In the early 2000s, he was caught in a civil suit that required land records to cushion his case in court. After the RTI Act was passed, he managed to retrieve documents from government records he had wanted for years, within merely a few months. “Since then, I have spent a good chunk of my time creating awareness about the RTI,” he said. He runs two toll-free helplines in Surat to help people use RTI for their benefit. According to Jangid, the proposal to change the tenure of information commissioners is the scariest part of the proposed amendment. The Amendment Bill which has been introduced in the Rajya Sabha for consideration and passage attempts to change the tenure of information commissioners at the centre and the states from “a term of five years” to “terms as may be prescribed by the central government”. “The Information Commissioners will become like bonded labours to the central government,” Jangid said. “If they continue to not give out information that might be embarrassing to the government, they will be in service,” he said. One of the recent high-profile examples where the Information Commission used its autonomy was in 2016. When questions were raised about Prime Minister Modi’s undergraduate degree, the Central Information Commission directed Delhi University to allow inspection of its records from 1978 – the year Modi claims to have graduated from the University. Subsequently, the institution filed a plea asking the Delhi High Court to set aside the commission’s order. “If the tenure of the Information Commissioner is the government’s discretion, then something like the 2016 order to Delhi University will never happen,” said Shivahare. If the latest changes come into force, the autonomy of the Information Commissions will be under threat, said Venaktesh Nayak of the New Delhi based Commonwealth Human Rights Initiative. Since the Information Commission is autonomous, the RTI activists have found courage to appeal to them against non-compliance of government and bureaucratic bodies to release information. Ashish Ranjan of Jan Jagran Shakti Sangathan based in Araria district of Bihar returned from the far reaches of Jamui and East Champaran districts in the first week of July. He had gone to investigate the deaths of three RTI activists, who were allegedly killed in the month of June. “What does it say when RTI activists are being killed for the work they do? Who does their work hurt? That is fairly commonsensical,” said Shivhare. In the past year, Ranjan has filed RTIs seeking information on government entitlements reaching flood-affected populations of Bihar, cost of thousands of solar bulbs installed in rural Bihar and land ownership records of farmers. According to Ranjan, the latest amendments will severely weaken the federal structure of the country by taking away from the powers of the State Information Commissions (SIC). “Why does the Centre want to control information given out by the states?” he asked. The three RTI activists who were killed, said Rajan, had ruffled many feathers in positions of power in their own districts. “If the SICs are not powerful enough, do you expect a person from rural Jamui to keep knocking on the doors of the courts?” he asked. It is in these places, far away from the spotlight of capital cities, that the transparency law is most useful. “When food doesn’t reach the ration shops for weeks, when there is no teacher appointed to your children’s school and when essential medicines don’t reach the primary health care centres in your village, that is when an RTI becomes essential,” said Chakradhar, a Vishakapatnam-based activist. In 1984, Chakradhar had to file cases in the High Court to put pressure on the administration to release land records of tribals in northern Andhra Pradesh. “If we have to knock on the doors of the higher courts for small things, imagine the backlog in an already overburdened court,” he said. The amendment, according to him, will reduce the worth of the State Information Commission and therefore force the information seeker to approach the court more often. In 2016, the Central Information Commission had declared that they did not have the time to answer all the RTIs that were filed. The information one gets in the first appeal is usually of the non-controversial nature, said Jangid. Any information that rattles the power that be is denied and we have to appeal to the state information commission, he said. If the State Information Commission is in the pockets of the Centre, how will we function, he asked. The RTI Act remains unamended since the beginning. Subsequent amendments to the law have been opposed by the civil society and governments have been forced to withdraw them. Notably, in 2012, when the government proposed to allow the withdrawal of appeal or dropping the application if the applicant died. Given the dozens of deaths of RTI activists across the state, this amendment was opposed vehemently. “If the government want to make the law better, they should ensure that the Commissions function better than they do,” said Shivhare. Since a bulk of the recruits are former bureaucrats who come with a mindset to withhold information, their natural response is to deny information, she said. “So, more of often than not, we rely on the integrity of individual information officers to get work done,” she said. In such a situation, it would be a death blow to the entire transparency ecosystem to change the salaries of the information officers, said Nayak. Currently, the salary of the chief of the Central Information Commission are the same as that of the chief election commissioner. Similarly, that of the central information commissioners and state chief commissioners, are on a par with election commissioners. Government notice in July 2018 tries to make a distinction between the Election Commision and the Information Commission. EC, it says, is a constitutional body established by clause (1) of Article 324 of the Constitution, while the CIC and state information commissions are statutory bodies established under the provisions of the RTI Act, 2005. Therefore, the salaries cannot be on par, it argues. “The reason why the judges and the election commissioners carry any weight is because their salaries are not something the government can meddle with,” said Nayak. The government’s desire to weaken the RTI Act does not surprise Jangid one bit. “It is in keeping with the larger attempt to cultivate a meek civil society and crush people’s movements,” he said. Previous PostWhy Is Modi's "Clean Energy" India Bankrolling Dirty Coal?